Product Details - Capacity -5 Pads Size - 56 x 56 cm, Use - Cleans pets face, ears, body and eye area. 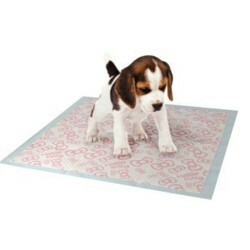 Product Information - Puppy pads make house training simple and easy, attracting dogs with a special scent. They are super absorbent, locking in both moisture and odour.